It’s powerful. It can make people move, smile, sleep, or cry. And can change the mood of a crowd. Music has power to influence emotions. 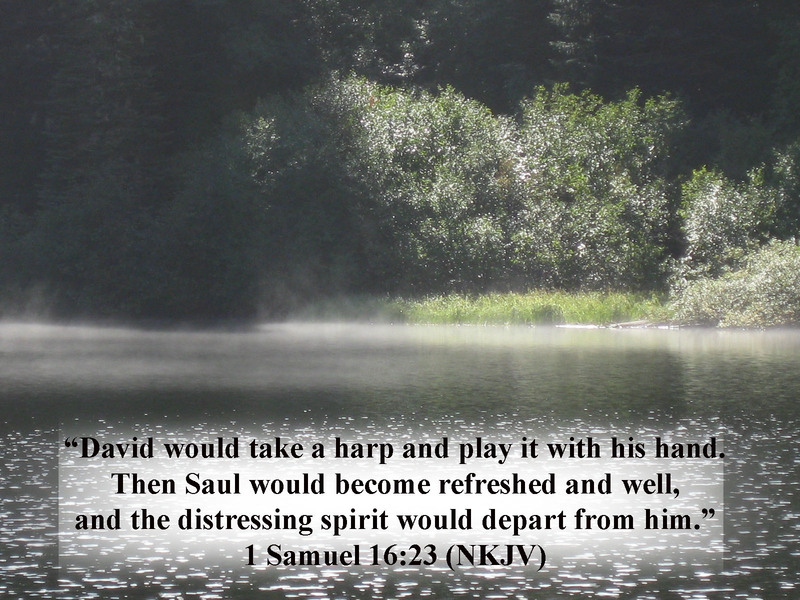 David played his harp and freed Saul from a distressing spirit (1 Samuel 16:23). According to Wikipedia, a musical strain is “a series of musical phrases that create a distinct melody of a piece.” Musical strain, in Chris’s case, represented stress that threatened his peace. Music contributed to his breakdown. Being in several competitive bands is demanding. It requires endless practicing. It proved to be too much for Chris. But once he recovered from his psychotic episode, Chris wanted to return to his old routine. That included music competitions. 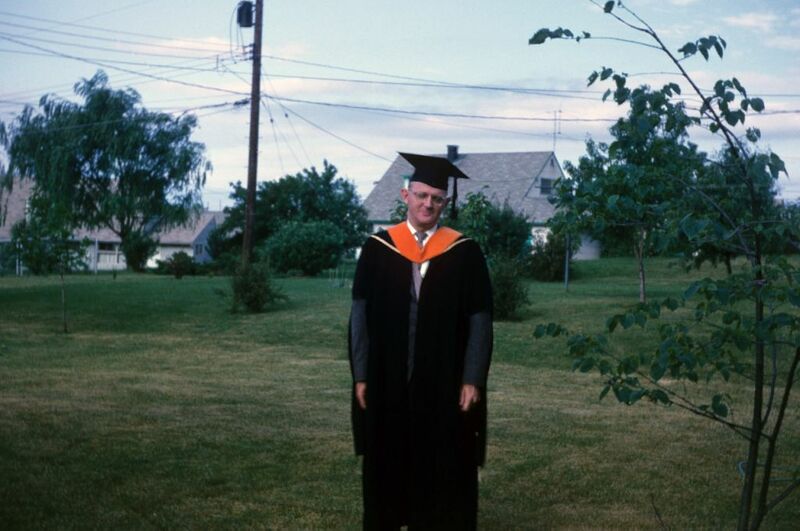 Chris had been released from the hospital and had finished his junior year. Thanks to gifted homeschool teachers, Chris completed his work on time and received good grades. Summer vacations to Colorado and leadership camp proved Chris was well on his way toward full recovery. But I still worried. Chris has accomplished a lot since his breakdown. But he might still be emotionally fragile. I don’t think he’d be able to handle the stress of those music competitions. How can I allow him to subject himself to such pressure? How can I tell him not to audition? November was the month auditions were held for County Band (the best musicians in the county) and District Band (the best musicians in the area—several counties). That time of the month brought painful memories. Just last year Chris auditioned for County Band and District Band. The day after his District Band try outs, he suffered his breakdown. Howie says we should let Chris enter the competition. I’ll ask everyone for prayer. “Is it wise to let Chris do to the auditions?” many of my close friends would ask. We came up with a plan to support Chris as much as possible during the auditions. I made arrangements for Chris to see his psychologist immediately after the County Band auditions. Chris traveled to the auditions with his music director, Robert, and other students. I met him there and found the hosting school staff. “My son, Chris, has a doctor’s appointment today. I’ll need to take him immediately after his audition,” I informed them. Robert had to deal with his mother showing up at the auditions. Chris didn’t seem to mind. In fact, he welcomed my support. A reaction that both pleased me and concerned me. District Band tryouts came next. Plans were put in place once again. I’d meet Chris at the school and take him to his appointment with the psychologist. I arrived at the school when all the students were warming up their instruments. The auditorium was filled with blaring, distorted sounds. The unrelated notes eerily resembled the “music” of a shattered mind. What must this sound like to Chris? It can only amplify his apprehension and any distorted thought. I’ve got to get him out of this room! I frantically searched for Chris. With a sense of urgency to free him of the noise. Usually it was easy to spot Chris because the slide of his trombone is easy to locate. Not this time. The longer it took for me to find him, the more I began to panic. Where can he be? What’s happened to him? Was this a big mistake? Finally I noticed him sitting on the edge of the stage. His head hung down and his shoulders were bent over. He was the only student not warming up. His pathetic appearance filled me with mixed emotions. Sorrow made my stomach feel like I’d just headed downward in a rollercoaster. But gratitude filled my heart. What a relief to reach the quiet, peaceful hallway. The Lord even helped me get permission for Chris to be tested earlier than scheduled. While Chris was in a room being tested, two students walked by. They were saying unkind things about a fellow musician they’d seen last year. “Do you remember that weird kid who acted so strange last year?” one asked. They’re talking about Chris! I didn’t know he acted strangely last year. Not enough for others to notice. Father, why did I have to hear those unkind comments? Thankfully, that audition ended without incident. Soon after, we got the results. Robert and Chris made County Band. Chris also made District Band. Any musician would rejoice in such an accomplishment. In Chris’s case this represented a tremendous testimony of God’s provision. It was also proof of Chris’s determination, courage, and talent. Thank You for showing Chris that life can go on. I praise You that Your power is greater than anything. Dissonant music filled the room. But Your perfect peace inhabited Chris’s mind. You silence the discord in our hearts and our lives. Picture a girl clinging to her stuffed bunny on her first day of school. Now picture her as a sixth grader. That’s how I first met Leah. It didn’t surprise me. Her application clearly stated Leah suffered from separation anxiety. As the director of instruction of our Christian school, it was my job to process student applications. The headmaster and I felt led to accept Leah. We believed God could do a mighty work. Leah was transferring from public school to our Christian school. The exposure to God’s peace in our school could help Leah overcome her separation anxiety. Leah’s parents were very supportive. They said they’d put us in touch with her psychiatrist. I spoke with Leah’s mother before the new school year began. Mrs. Jones prepared me well, providing information beyond the usual school records. “How did Leah’s last school year go, Mrs. Jones? “Leah needed home-bound instruction for most of fifth grade,” Mrs. Jones explained. “How many days did she attend school?” I asked. “Did she eventually make it for an entire school day?” I inquired. “No. She couldn’t make it. Often the school had to call me because she experienced a panic attack,” her mother answered. Leah’s mother gave me the name and number of the psychiatrist and encouraged me to speak with him. When I called the psychiatrist, he laid out a plan. As the school administrator, I’d be the person to determine if we needed to call home and ask Mrs. Jones to pick her up. We put that plan into action. The first week of school I needed to call her mother twice. Mrs. Jones picked her up. Even during that first week, however, Leah was able to remain in school for several entire days. Maybe not in class, but in school. Sometimes all she needed was to talk to her mother on the phone. That calmed her. I’d then take Leah for a walk outside and she’d relax enough to go back into the classroom. By the end of the year Leah was attending entire days. She still carried her bunny, but rarely needed to go home. Her visits to the nurse diminished. She and I met only occasionally. On the last day of school I asked to speak to her in my office. After a time of prayer, I presented her with a gift. 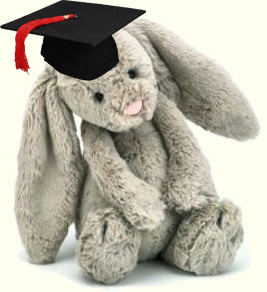 I gave her a miniature graduation cap for her bunny. Leah attended seventh grade without her bunny and without needing to go home. She never again needed to call her mother from school. Later in the year, Leah even slept over a friend’s house. Quite a remarkable accomplishment and testimony to God’s faithfulness in her life! Leah went on to attend college and get married. We’re not very different than Leah. Don’t we also worry? Forgetting God is in control. Aren’t we vulnerable to fears? Allowing our thoughts to be consumed by the what if’s. Aren’t we prone to the contaminated thinking of the culture which tells us we can solve all our problems? Believing we don’t need God.